Honey is known for its antibacterial properties, but what is it about manuka honey that makes it so special to cost $520 per kilogram? Manuka honey became very popular when people heard that it could kill the drug-resistant Staphylococcus aureus, Acinetobacter baumannii, and Enterococci species. These are just some of the nosocomial pathogens with increased antimicrobial resistance that cause difﬁcult-to-treat infections worldwide. Manuka honey has both antimicrobial properties and the ability to increase the efficacy of approved antibiotic drugs. Its fame grew with a multitude of studies and clinical trials and it has become today the liquid gold of New Zealand. The mānuka honey industry is worth nearly $180 million to New Zealand every year. Australia wanted its share as well, because this honey is also produced in Australia, in fact manuka tree (the floral source of manuka honey) has here over 80 species related to it. Yet all research was done in NZ and its popularity grew due to NZ massive export and publicity. And this is not the only reason. The quantity of MGO, the substance responsible for most antibacterial power in this honey is found only in Leptospermum scoparium nectar, and only in NZ (Julie Irish, 2011). That because environmental conditions in different regions play an important role in the composition of nectar, even when talking about the same species of tree. In New Zealand the environment, climate, soils, lack of bee pests, sunlight, native forests, pristine waters and fresh air combine to create the NZ manuka honey, a unique product that simply can’t be replicated. 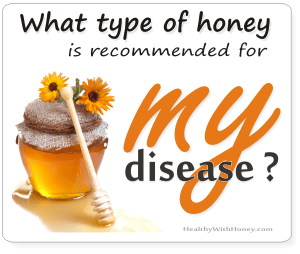 It is already known that honey has immunomodulatory, antidiabetic, anti-inflammatory, antihypertensive, hypoglycemic, anti-proliferative, anticancer and anti-metastatic activities, antifungal, antiviral and antibacterial properties. When we talk about regular honey, its antibacterial power is given by strong osmotic effect, naturally low pH, the ability to produced hydrogen peroxide from glucose and oxygen, by glucose oxidase, a bee-derived enzyme (also known as peroxide activity) defensin-1 and phytochemical compounds. Other honeys, like manuka honey or viper’s bugloss also show antibacterial activity coming from a non-peroxide source. Not all honeys can produce hydrogen peroxide, while some can produce huge quantities, like mari (Corymbia calophylla) or jarrah (Eucalyptus marginata) from Western Australia. 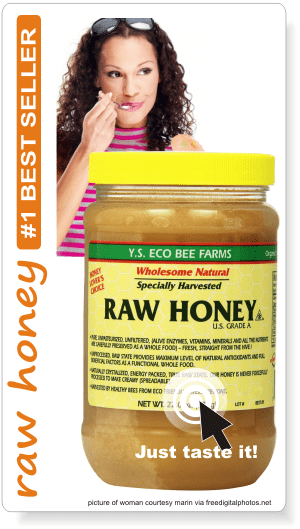 When fresh, these honeys are considered to be the most powerful antibacterial honeys, above manuka honey. Honey is a complex substance, with up to 800 compounds, which makes it difficult to pinpoint exactly how it kills bacteria. The method used to determine the antibacterial activity of honey with reference to phenol is an agar well diffusion method. This is the de facto standard in medical honey testing, and is used commercially to assign a UMF® value to medicinal honeys. This method is a simple and rapid way to screen large numbers of honey samples for antibacterial activity; however, it does not discriminate between individual antibacterial factors and their relative contributions to overall antibacterial activity. This is the first and the most important compound in manuka honey. It’s derived from dihydroxyacetone (DHA), a compound present in high levels in manuka nectar, which turns into Methylglyoxal (MGO) during the ripening of honey, via non-enzymatic Maillard-like reactions. It’s a by-product of several essential biological processes such as glycolytic bypass, acetone metabolism and amino acid breakdown. A controversial substance, a potentially toxic metabolite that accumulates in various cell types, but one that gives manuka honey its power and differentiates it from the others. The level of MGO in honey is dictated by factors including the DHA content of the nectar, the extent of the flower bloom and also by the foraging behavior of honey bees. Unlike honeys with high antibacterial power given by peroxide activity, honey with high MGO is not destroyed by the catalase enzyme present in body fluids, is not affected by heat and time and can be sterilized with gamma irradiation. Methylgyoxal acts like any antimicrobial that kills or inhibits the growth of microorganisms. It’s a substance found in very small quantities almost everywhere. In our food, produced during glycolysis and sugar fermentation (especially in soy sauce but even in bread), drinks (more in roasted instant coffees, decofeinized or brewed coffee but also in beer) and tobacco smoke. Our body produces it and then eliminates it (new studies showed highest capacity for elimination of this toxic compound through the formation of adducts , see Jiang K, 2018). MGO is overproduced in cases of hyperglycemia (diabetes), uremia, oxidative stress, aging and inflammation. The difference is that while in food MGO in found in tiny amounts, less than 10 ppm, even at 0.5 ppm in bread or at 0.03 – 1.1 ppm in beer, in manuka honey it can reach over 1000 ppm. High amounts of MGO are bad for our body. AGEs derived from methylglyoxal or other sources trigger maladaptive responses in multiple tissues in diabetes or aging or uremia. In rheumatoid arthritis, methylglyoxal modified IgG generates autoimmune response. That is why hyperglycemia (consumption of too much sugar) is contraindicated in these autoimmune disease (Sidra Islam, 2018). However, other evidence suggests that methylglyoxal accumulation could also promote the apoptosis of tumor cells (Thornalley et al., 1996). It was shown to be a promising candidate against breast cancer cells (AnirbanRoy et al 2018). Being a toxic substance for our body, it is toxic to microorganism too. In laboratory tests it showed very good results in killing germs like MSSA (Methicillin Susceptible Staphylococcus Aureus); MRSA (Methicillin Resistant Staphylococcus Aureus); Pseudomonas Aeruginosa; Helicobacter pylori; Streptococcus pyogenes, Escherichia coli, Clostridium difficile. Exceptional results were obtained externally, in healing infected wounds and burns. See Manuka honey: THE BEST to treat wounds, burns, skin infections. Yet, when used internally the efficiency is not confirmed by clinical trials and its safety was not scientifically confirmed. 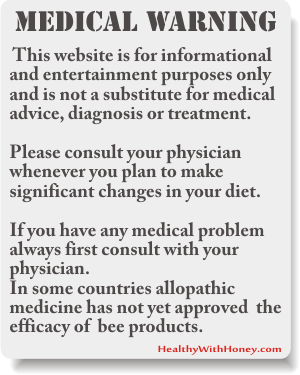 See Is Manuka Honey safe to eat? 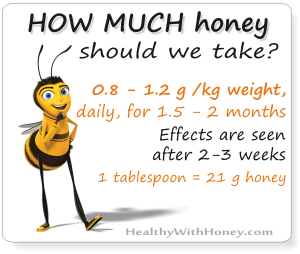 Yet, it is considered by many as safe in manuka honey composition. 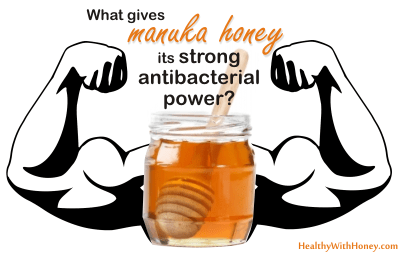 MGO + other compounds give manuka honey its antibacterial power. 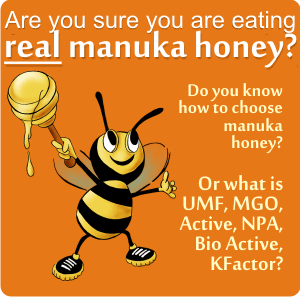 After neutralization the MGO manuka honey still retains bactericidal activity. According to Peter Molan, father of majority of manuka honey research in New Zealand, methylglyoxal does not appear to be the main contributor to the antimicrobial and antibacterial activities. In the article “An explanation of why the MGO level in manuka honey does not show the antibacterial activity”. New Zealand BeeKeeper.) 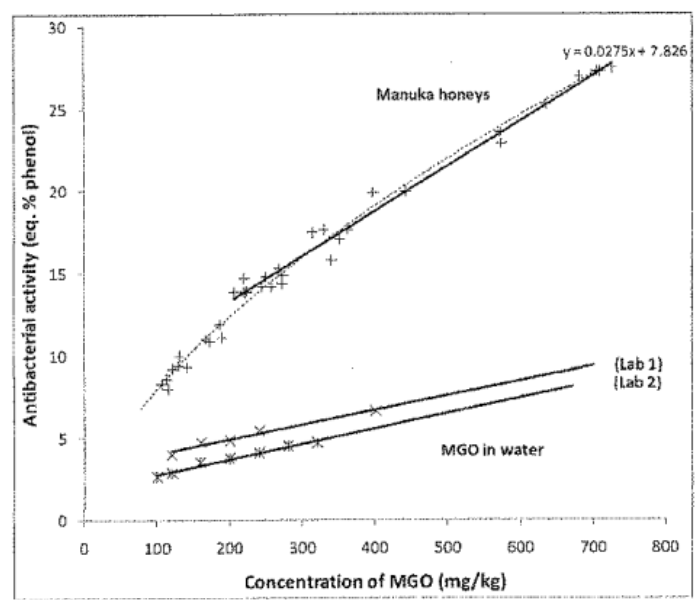 Peter Molan says “MGO scale does not show the non-peroxide antibactieral activity” and suggests that “consumers are being misled by it being claimed that displaying the level of the active antibacterial component of manuka honey shows them the antibacterial activity of the honey”. The synergy between MGO and the other components of honey gives its antibacterial power. The word synergy comes from the Greek syn-ergo, which means “working together”. It is the phenomenon that happens when 2 agents acting together create an effect greater than the one predicted by knowing the effects of the 2 separate agents. MGO in water has a far less antibacterial activity than when it is in honey. The antimicrobial activity of MGO is derived from its ability to inactivate proteins by cross-linking them. See What is UMF 16+, MGO 400+, Active? Manuka honey contains numerous phenolic compounds, including flavonoids (pinobanksin, pinocembrin, chrysin, luteolin, quercetin, 8-methoxykaempferol, isorhamnetin, kaempferol and galangin), phenolic acids (phenylacetic acid, phenyllacticacid, 4-hydroxybenzoic acid, kojic acid, 2-methoxybenzoic acid, syringic acid, and 4-methoxyphenyllactic acid) and other compounds (methylsyringate, leptosin, glyoxal, 3-deoxyglucosulose). In a study done by Graeme Kirkpatrick, in 2017, both methylglyoxal and phenyllactic acid (PLA) from manuka honey showed antibacterial activity. Leptosperin (methyl syringate 4-O-β-D-gentiobioside) is an important unique marker in manuka honey because it is only found in the flower of the Manuka Plant and some cousins from the Leptospermum species (including the Australian Leptospermum polgalifolium, aka jelly bush, from Australia). Plus, there are phenolic compounds within manuka honey that remain unidentiﬁed. In a recent study, it was found that manuka honey promotes a wound healing mechanism due to improvement of the antioxidant response by modulating the AMPK/Nrf2 signaling pathway and increases the activity of antioxidant enzymes superoxide, dismutase and catalase (Sadia Afrin et al., 2017). also see: What gives honey its antimicrobial power? 3. High osmolarity due to high concentration of sugars. It has been shown that 61% of honeys tested have antibacterial activity, which can be attributed solely to their high osmotic potential. Present in manuka honey as well. There have been observed low levels of hydrogen peroxide activity in manuka honey, especially when the amount of MGO is high. Recent studies have indicated that MGO decreases the enzyme oxidase, which is responsible for producing H₂O₂. Bee defensin -1, a cationic antimicrobial peptide, is another antimicrobial factor present usually in royal jelly, but also in some honeys (especially Revamil), but not in manuka honey. Some studies say that the lack of peptide and proteins in manuka is also a result of MGO. Generated by the activity of bee glucose oxidase, H₂O₂ is hypothesized to be a major antimicrobial component of many non-manuka honeys. The enzyme is produced in honeybees’ salivary glands and introduced to the collected nectar. It protects the ripening honey against the development of pathogenic microorganisms. Although the concentration of H₂O₂ within honey is far below that used medically, it is capable of causing DNA damage and interacting with other components of the honey, increasing its activity through hydroxyl radical production. Exceptionally high activity was seen in hydrogen peroxide-dependent honeys derived from marri (C. calophylla; median activity 25.7, maximum 29.7) and jarrah (E. marginata; median activity 25.1, maximum 31.4) from Western Australia. Till now these are considered the most potent antibacterial honeys yet reported. Its production is also crucial for antimicrobial potential of honey used for treatment of skin and soft tissue infections, infected wounds or eradication pathogenic bacteria located within upper respiratory tract or Helicobacter pylori located in human stomach. Honeys with hydrogen peroxide-dependent activity are more effective than manuka honey at inhibiting dermatophyte fungi [Brady NF, 1996] and species of the yeast Candida ([Irish J et al., 2006), indicating that these honeys may be more broad spectrum and valuable as antifungal agents than manuka honey. Why aren’t honeys with high peroxide activity more appreciated? What is carob honey? A powerful antioxidant chocolate treat! What is Sahara honey? Good antimicrobial honey produced in the Saharan oases.